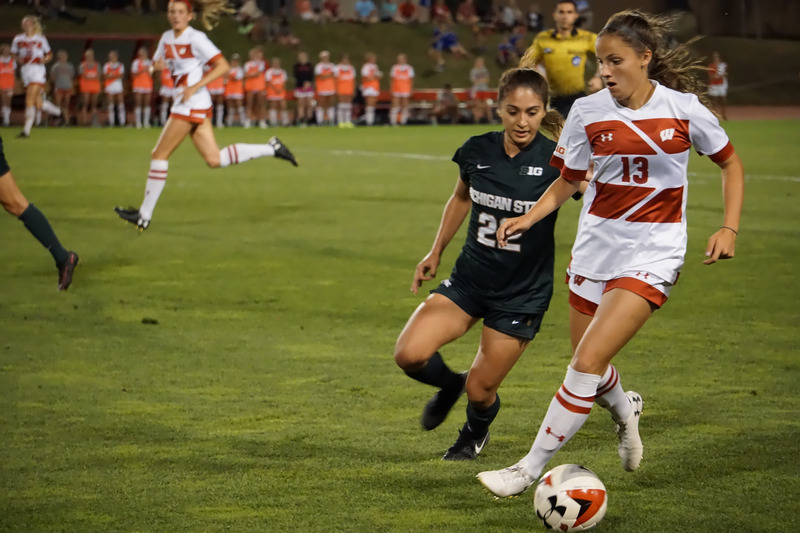 Even though the University of Wisconsin women’s soccer team managed to take the game into overtime, they would still fall to the Michigan Wolverines, ending their seven game winning streak. The leg of forward Reilly Martin, Michigan (5-2-4, 2-1-1 Big Ten) took down Wisconsin (8-2-0, 2-1-0 Big Ten) in the sixth minute of overtime. For the Badgers, this is their first loss of a dominant month-long stretch where they outscored opponents 14-2. The two teams exchanged goals relatively early in what became another defensive battle for the Badgers. Jada Dayne, a Michigan player who happens to be the daughter of Wisconsin football legend Ron Dayne, got the Wolverines off to an early head start with her first period strike on the assist from Katie Foug. 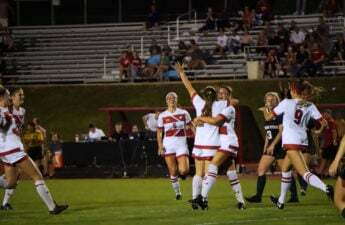 Soon after the second period started, Dani Rhodes answered on a penalty kick for her sixth goal of the season. Unfortunately for Wisconsin, once overtime began, something had to break in this defensive struggle. For her second goal of the season Reilly Martin sent the Badgers home with an impressive shot on a pass from mid fielder Sarah Stratigakis. On the goalkeeping end, Caitlyn Clem maintained a high level of play in a tough loss, notching four of six saves in the overtime game. However, Michigan keeper Sarah Jackson proved herself today, only allowing one penalty shot goal with seven saves. Though Wisconsin has had success thus far in season, this loss is a reminder the Big Ten will not be an easy conference to succeed in. Including the Badgers, there are three Big Ten teams ranked in the top twelve of Division I. The Badgers play one of these teams, Rutgers, during their upcoming East Coast road trip as well as a competitive Maryland team. The Scarlet Knights have yet to lose with a record of 8-0-2, notching them the No. 12 ranking in the United Soccer Coaches Poll. Casey Murphy will be the Badgers biggest challenge, allowing only one goal thus far this season. 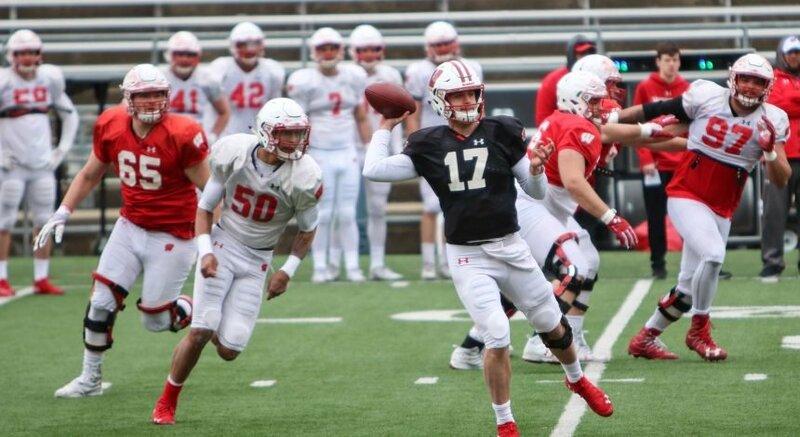 Before making their way to Piscataway, New Jersey, the Badgers will stop in College Park for a difficult matchup against Maryland. With a record of 7-2-1, the Terps will be another challenging obstacle for the Badger women as they continue conference play. 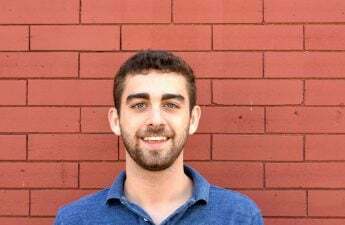 After some close contests to begin the Big Ten season, the Badgers must maintain their focus as they prepare for the critical conference games ahead. Next up for the Badgers is two away games, the first of which is against Maryland Sept. 29.